- Body: Stainless motor body with anti corrosive primer coating. - Impeller: Dynamically balanced Centrifugal radial flow type. - Motor: The pumps are coupled to water cooled, rewind able V Guard induction motors. - Motor shaft: ANSI 410 Stainless Steel Shaft. 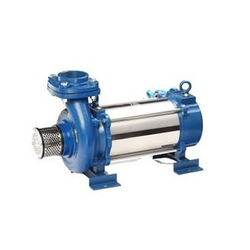 Since commencement, our company has set benchmark in offering Three Phase Openwell Submersible Pump to the clients. 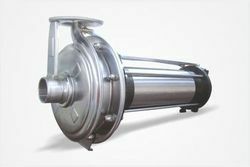 manufacturing processes to ensure top class performance of the pumps.